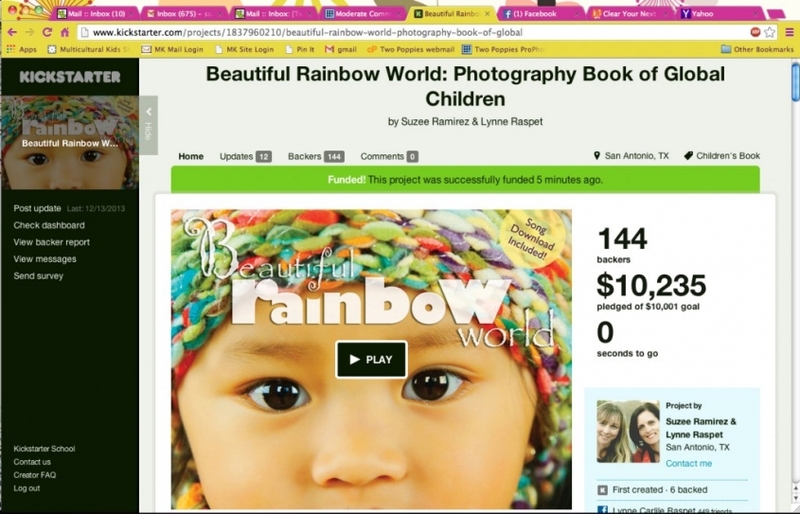 Kickstarter success = “Beautiful Rainbow World” is getting ready for the press! Thanks to so many amazing people who supported our Kickstarter campaign, we are now preparing our book for the presses! Since Lynne and I have never published before, we are working with a book shepherd who will make sure we do everything right to bring the best finished product to reality. We should have an estimated timeframe for the book to be in stock very soon – we’re hoping for sometime in early spring. We’ll be updating this page as we know more.